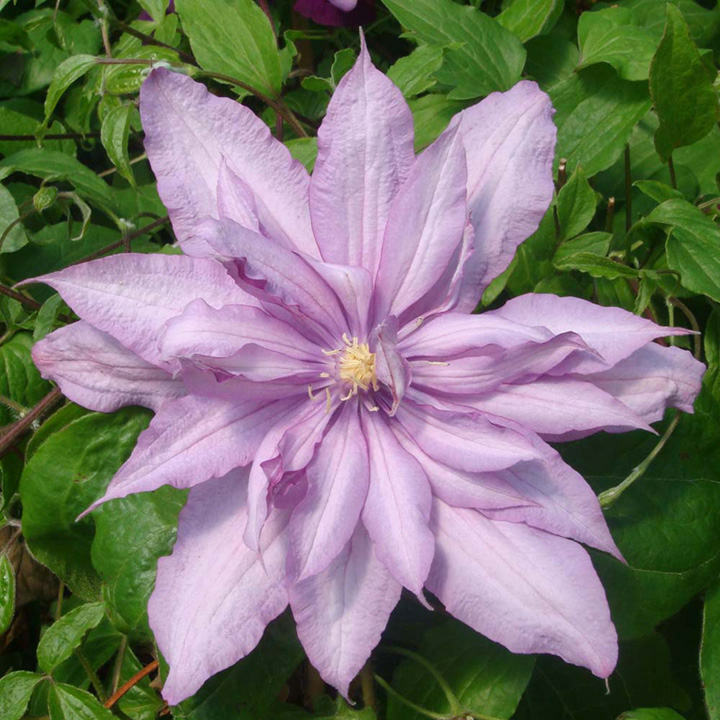 Clematis 'Mrs Spencer Castle', a beautiful, deciduous, perennial, climber with large, semi-double, pink flowers from later spring to early summer and once more late summer to early autumn but the second time around the flowers are single. Its foliage pinnate and dark green. Height 250-300cm. Supplied in a 3-4 litre pot.